With a global bounty on his head and no further support from the Continental after being declared “excommunicado” at the end of the last movie, we’re pretty sure John Wick (Keanu Reeves) is going to be deadlier than ever, if that’s even possible, like a feral wolf caught in a bear trap. 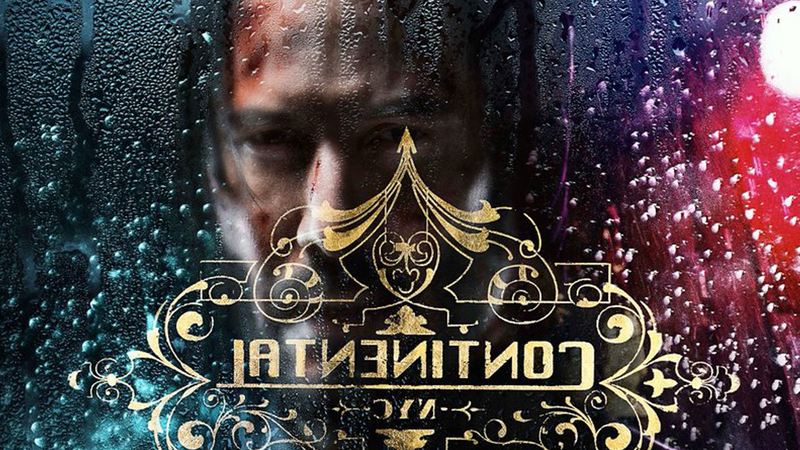 The third movie has been given the wordy title John Wick: Chapter 3 – Parabellum, a sub-title that means “prepare for war” in Latin, and a clever teaser poster showcasing Wick’s new outsider status. The first trailer is due out this Thursday and to promote it we have this tiny teaser showcasing Wick, The Bowery King (Laurence Fishburne) and a whole buncha ninjas on motorcycles. Get some! John Wick: Chapter 3 – Parabellum was directed by Chad Stahelski from a script by Derek Kolstad, Chris Collins & Marc Abrams, and Shay Hatten. Halle Berry, Common, Ruby Rose, Mark Dacascos, Ian McShane, Lance Reddick, Asia Kate Dillon and Anjelica Huston also star. The movie opens in theaters on May 17th.